The first time I read a story written by Zen Cho was in LONTAR #1: The Journal of Southeast Asian Speculative Fiction. The piece was titled Love in the Time of Utopia and was set in a possible future-Kuala Lumpur. I was immediately intrigued and wanted more. 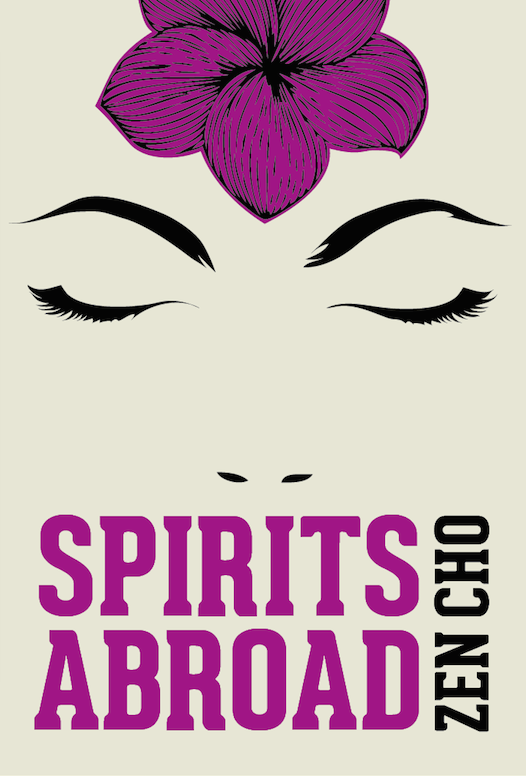 The second time I came across Cho’s name was when I read about a new collection of short stories, Spirits Abroad, which was going to be published by Fixi Novo, an award-winning Malaysian publisher well-known for putting out edgy, controversial titles by local authors. I was intensely curious to find out more because science fiction and fantasy writers hailing from Southeast Asia are relatively rare compared to those from the west—at least those writing and publishing in English. The third time I heard Cho’s name was when I learned that she had been picked up by major publishing houses (Ace Books in the U.S. and Pan Macmillan in the UK) for a new fantasy trilogy set in Victorian London. The more of her stories I read, the more I realized that Cho is an immensely imaginative writer who is able to infuse a vulnerable humanity into the mythological creatures that she writes about, and at the same time, as many great speculative fiction writers do, comment on the society in which she lives in—regardless of where she might be. You primarily write speculative fiction. Is there a reason why you gravitate towards these particular genres? I enjoy science fiction and fantasy on a few different levels–I like the element of strangeness; I get a kick out of dragons and spaceships; and I like playing with the tropes. They’re hooks you can hang a story on, and then you wander off and explore a bunch of other things at the same time. I don’t really like stories that are only about one thing, which is what contemporary non-genre fiction often feel like to me. In Spirits Abroad, despite the fact that your characters have moved overseas, they seem to bring aspects of their Malaysian culture with them. In some cases, they quite literally bring their monsters with them. What were you trying to say with these stories? Picking out common themes shared by the stories is probably an exercise for the reader rather than the writer! I wasn’t trying to say any one thing with the stories. Individual stories, sure, to an extent – with The Mystery of The Suet Swain, for example, I was thinking about the failure of communities to deal with harassment. Why are men and women so bad at handling the predators in their midst? Obviously I have certain preoccupations – culture, diaspora, family, sensible women who meet magical creatures. But when I had monsters flying on AirAsia X from Malaysia to England, I mostly did that because I thought it was funny rather than to make any particular point. You’re currently based in London. Is this how you feel about leaving home? How has your time spent abroad influenced your writing? No, not really. This is a problem with writing fiction – I write stories as a way of asking questions, but the stories generally come out as answers, even if I don’t mean them to be. With that quote, what I was really thinking of was the Chinese Malaysian community I’m from, which is its own thing: it’s not China transposed to Malaysia because that’s not how culture or people work. But the reason why there are four generations of Chang E is that the immigrant experience is a plural one, and there are always going to be different narratives of that departure from home, that reinvention of self. 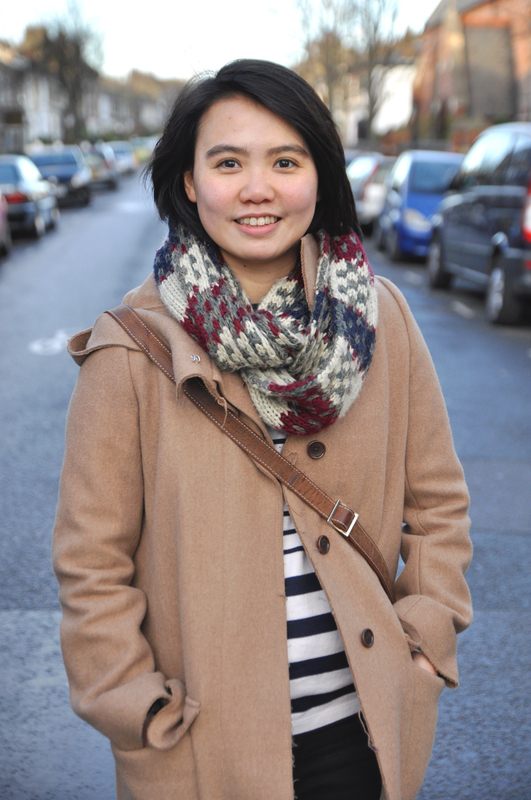 None of the Chang E stories are much like my experience of coming to the UK, but they don’t have to be. It’s hard for me to quantify how my time abroad has influenced my writing. I suppose, like many migrants, I have a shadow self who is living the life I would’ve led if I’d stayed at home. I think she would probably write more overtly political stories, but who knows? Is it important for you to be identified as a Malaysian or Asian author, or would you prefer to just be known as someone who writes fantasy and science fiction? It’s quite important. I always wanted to be a writer growing up, but I could never really imagine it because I didn’t know of anyone remotely like me who had done it. Not a single name on my shelves was Malaysian. So that visibility is important to me–and it’s not like I’m any less Malaysian if I avoid mentioning it, just as George R. R. Martin is not less American just because few articles describe him as “American fantasy author George R. R. Martin”. Of course I would prefer it if people gave the same attention to my work and treated it the same way as they would works by Western authors, but that is not something I can control. Could you tell us about your new book, the first part in the Sorcerer Royal trilogy, Sorcerer to the Crown due to be published in September 2015? 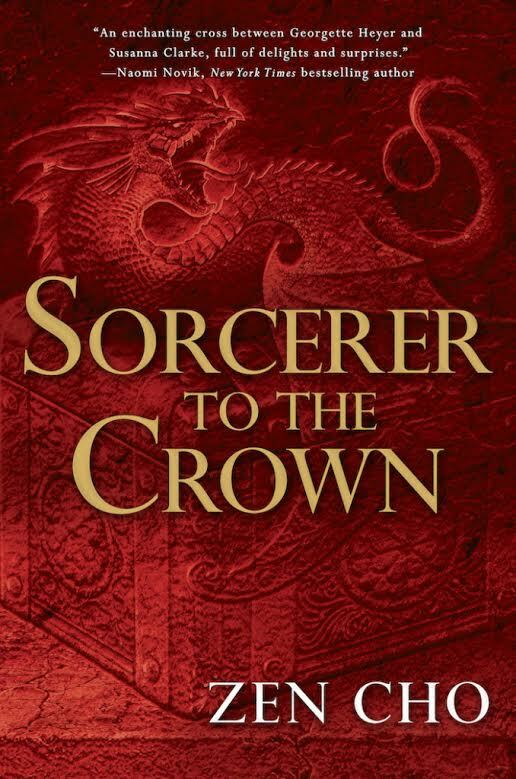 Sorcerer to the Crown is a historical fantasy novel set in early 19th century London, and it’s about England’s first African Sorcerer Royal, Zacharias Wythe, who is grappling with various problems – everyone thinks he murdered his predecessor, and England is running out of magic. His problems only get worse when he meets runaway orphan Prunella Gentleman, a female magical prodigy, who has stumbled upon England’s greatest magical discovery in decades. How do you balance your work as a lawyer and being an author? What if you had to make a choice – lawyer or writer – which would you pick? Basically, I work a lot and sleep less than I should! I pretty much write every day, in the evenings and weekends. I’ve recently gone part-time at my day job, so I now have two additional working days a week for writing. It’s a bit more relaxed, but to an extent the work expands to fill all available space! I’m puzzling over your second question because for me it’s a bit like being asked, “If you had to make a choice between being female or being a lawyer, which would you pick?” or “If you had to make a choice between being literate or being a lawyer, which would you pick?” I was a writer before I was a lawyer (for some reason you don’t see many six-year-old lawyers around …). Also, like my literacy, my ability to write was something that helped me become a lawyer; being good at words helped me through my degree and in my subsequent career. Writing is something I would do whether or not I was getting published, whatever I was doing with the rest of my life. That’s the nice thing about writing; it’s always there. Being a lawyer is a bit different. But my legal career has been really good for my writing – it’s made me tough and persevering, and taught me how to finish work that might seem scary and overwhelming at the outset. What were some of your favourite books from your childhood? I loved Enid Blyton! I’m a bit embarrassed to say it now, because I don’t think her books are particularly good. But they are like catnip for children. Malory Towers was my favourite series of hers, and I aspire to write a boarding school series some day. I also read a lot of traditional children’s books. Louisa May Alcott’s Little Women and sequels; L. M. Montgomery’s Anne of Green Gables and sequels (as well as nearly everything else L. M. Montgomery ever published – I’m saving her journals for a rainy day); E. Nesbit’s books, especially The Phoenix and The Carpet and the Bastable series; Lewis Carroll; Noel Streatfeild. I also read a fair amount of 19th century British literature as a kid: Jane Austen, the Brontes, Dickens, Arthur Conan Doyle. The other main influence was, of course, fantasy: Terry Pratchett, Diana Wynne Jones and the like. My influences were very English and (to a lesser extent) North American. Hopefully the next generation of bookish Malaysians will have a wider range to choose from. What’s next for you after you’ve completed the Sorcerer Royal trilogy? I’d like to know myself! I have some ideas, but whether I will get to write those depends on a lot of different factors. Ask me again in three years’ time! Cho will be appearing at the Cooler Lumpur Festival in Kuala Lumpur (12-14 June 2015) where she will be launching CYBERPUNK: MALAYSIA! edited by her and published by Fixi Novo. Find out more about Zen Cho and where to buy her books at zencho.org! Posted in Authors and tagged collection of short stories, England, London, science fiction, Sorcerer Royal, speculative fiction, The Journal of Southeast Asian Speculative Fiction, Zen Cho. Bookmark the permalink. If Enid Blyton was not particularly good, than maybe that’s a good way to be, because she became legendary as a children’s writer in different countries, turned into a national treasure in England and gripped children all over the world with that wonderful stardust and magic that have stayed memorable for the rest of their lives. Not hundreds of children but hundreds of thousands of children, to rate a minimum number. Her stories were so riveting and gripping that I remember myself together with hundreds of different schoolmates in the childhood of my time, all dropping everything in our everyday lives just to read her. She guarded my fluency in the English Language while growing up in Malaysia like no other. She trained me to cultivate a love for vocabulary. She opened up my mind to possibilities and opportunities… that enchantment and magic that would become a vitamin pill for a lifelong love for books. I have many friends who never read again as much in later years but read once upon a time because of Enid Blyton.